It is long overdue the recognition of Pete Rose. Personally and don’t have sympaty for him as a person because I find him to arrogant. But as a Baseball player I think, and I’m sure, to me ,he is the best baseball player of all times; bigger than Babe Ruth, Lou Ghery, Willie Mays, Mikey Mantle and much much others. Mr. Giamatti the commisioner banning Pete Rose made big mistake and Mayor League Baseball continue making mistakes naming commissioners people don’t know nothing about baseball and never was a player, coach, manager, umnpire owner or any other position. The best example IS THE ACTUAL COMMISIONER MAKING MILLIONS EVERY YEAR and allowing politicians putting their noses in sports. If the politician can,t solve their problems why we need their opinions or decisions in sports. Bur well, I hope Pete Rose will be in the Hall very soon, otherwise at least for me that will be an absolete institution and better close doors. Obermann is the first and hopefully not the last. Showing America what is truth. If Pete Rose is reinstated by Bud Selig, which he must be in order to be eligible, he would be subject to the voting criteria set-up by the Baseball Writers of America which state: Voting shall be based on player’s record, ability, integrity, sportsmanship, character and contribution to team. Does Pete Rose meet all those criteria? What to you think? I think not. . . . . But just as I turned on the ignition, I heard Ken the dispatcher’s plaint over the two-way radio: “Please,” he begged, “Please, I need a cab in the vicinity of Fenway Park right now.” I was going to ignore him since I figured the walk-up I’d get in 30 seconds would be easier, but I also know that when you do the boss a favor, when you need a favor you’re more likely to get it. “I NEED a cab around Fenway NOW,” he sobbed. “I’m on the cab stand at Fenway,” I radioed back. “Well, I was at the game and just this second started the cab,” I sheepishly excused. “Swing around to the front entrance and pick up three men and let me know when you got ’em,” he ordered. . . .
Of all the rules in baseball, gambling is one of the biggest no-no’s. You simply cannot bet on games. History has taught us that the consequences of doing so are huge. I’d like to see Pete Rose go to the Hall of Fame despite the gambling issues, he did more good than bad. 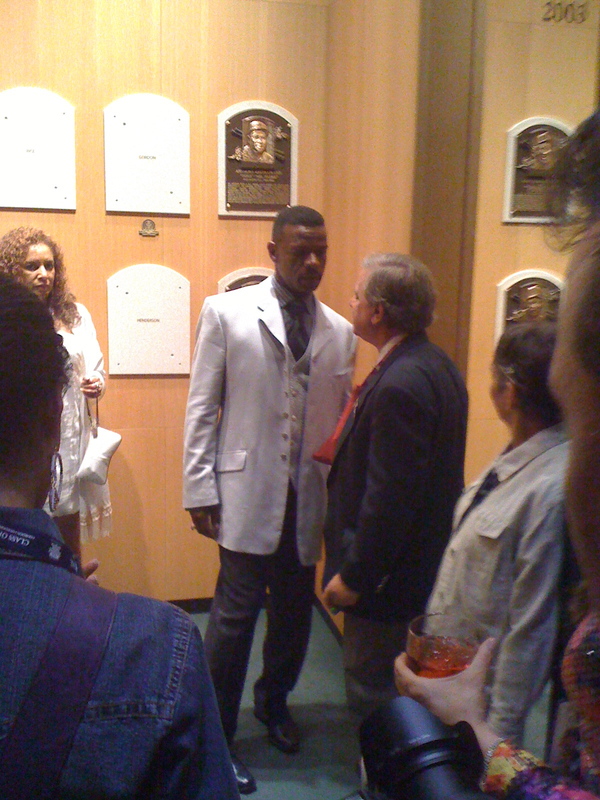 It’s fun to see Jim Rice and Rickey Henderson go the Hall of Fame this year, Rice’s selection is overdue, in my opinion, and Henderson’s well deserving of his selection, with the history of his stolen bases. I’m ready to, if not forgive, at least overlook Pete’s gambling and lying and reinstate his eligibility for the Hall of Fame. I’d like to see him in the HOF – good grief, just look at his record, it is truly amazing! It is a baseball HOF, not Santa’s list of who’s been good or nice. In this day and age of (alleged) performance enhancing drug use, betting on one’s team, and even lying about it, doesn’t seem so bad. Congrats to Rickey, heck of a ball player. Thanks, Keith, for your posts about some of the parts of Cooperstown not normally seen by us regular folks. I NEVER thought I’d agree with you on anything. I’ll kindly say that we’ll agree to disagree from a political view – understatement. I still guess that Mr. Rose, if allowed, might be inducted in the Baseball HOF when he has one foot in the grave, or Posthumously. There is NO way that the keepers of MLB’s flame want Mr. Rose to be around to profit or enjoy his HOF status very long. Still, with Pete Rose dead or near dying, MLB can come across as compassionate, caring, and they remain faithful to the God-like homage they paid long ago to the late MLB Commissioner Giamatti. Unfortunately, Pete Rose gave MLB all the ammo they needed more than 20 years ago. Thanks for your posting. Good weblog, I appreciate the content material.